What's a quarter of a century old and centuries ago? 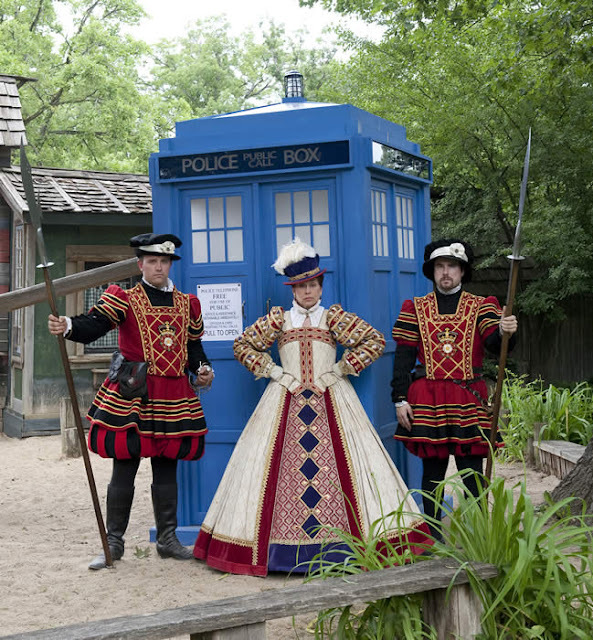 Time travel back like Dr. Who and steam punks do....to party like it's 1599. It's 1 day...19 hours...20 minutes till the gates open for Ren Faire 2012! ◆ WHO: More than 1,200 period artisans and performers including jousting knights, juggling jesters, willful wenches and a newly arrived cast of street-performing fools presiding over revelry of epic proportions. ◆ WHAT: A rollicking romp through Elizabethan England, complete with 16th century games, rides, arts, crafts, food, music and dance, recreating the summer day in 1574 when Queen Elizabeth visited the English hamlet of Bristol. This summer, Bristol commemorates its 25th anniversary with the biggest, boldest and most boisterous celebration to date. ◆ RENQUEST: Bristol’s live action fantasy-play game, which debuted in July 2008, returns with an all-new story line. Bristol’s RenQuest brings the worldwide popularity of massively multiplayer online role-playing games, like World of Warcraft, into the live action dimension of the Renaissance fair, and offers gamers the chance to test their role-playing prowess beyond the realm of their computer screens. ◆ ENTERTAINMENT: Sixteen stages of nonstop entertainment featuring Faire favorites such as Dirk and Guido (“The Swordsmen”) *they've been friends of ours since my husband, Dug did the location sound for their DVD years ago, the Sturdy Beggars Mud Show and MooNiE the Magnif’Cent — Juggler, Ropewalker and Foolish Mortal. Also, many of the United States’ top touring Renaissance Faire performers will drop in to help celebrate this summer’s special anniversary. These performers include the Celtic fusion band Tartanic, steampunk bagpipe group Klaxton, the Clan Tynker family circus and sidesplitting Renaissance scientist Doktor Kaboom! ◆ MARKETPLACE: Nearly 200 artisans and crafters showcasing wares ranging from jewelry and leatherworks to tapestries and hand-crafted longbows. Demonstrations by potters, glassblowers, broom caners, forgers and other working artisans. ◆ FOOD AND DRYNKE: Roasted turkey legs, skewered shrimp, barbecued ribs, garlic sauteed mushrooms, steak sandwiches, grilled chicken, ice cream, fruit crepes and other delicacies. Thirst-quenching ales, fine wines, iced tea and fresh-squeezed lemonade. Tickets $19.95 for adults and $9.50 for children (ages 5-12) at gate. (discount coupons at Walgreens) *Kids under 5 are FREE! RenQuest Info: participation costs an additional $10 per day. 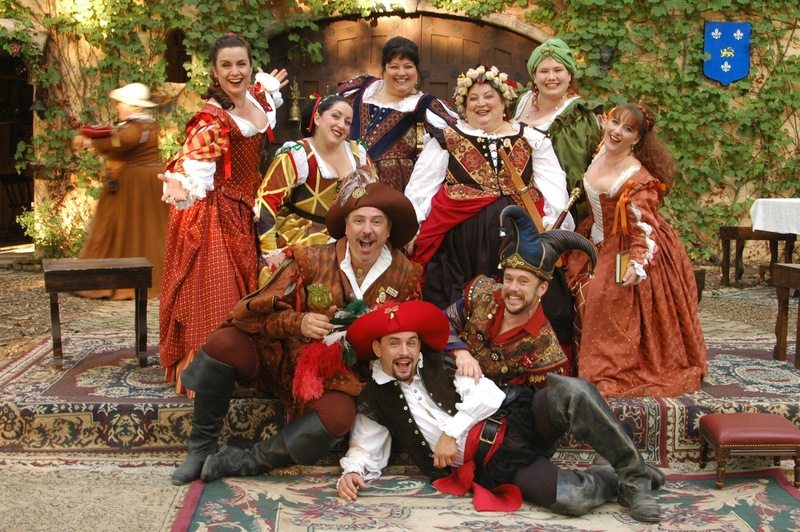 Discounts available online at renfair.com or by phone, (847) 395-7773.